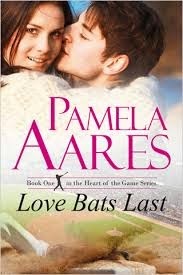 In LOVE BATS LAST, the first book in The Heart of the Game series by Pamela Aares, get ready for All-Star alpha males and the strong women they come to love! The baseball diamond isn't the only field for all-star player Alex Tavonesi; he also runs his family's prestigious vineyard. What he can't seem to run is his love life. He's closing in on the perfect vintage and the perfect game, but so far the perfect woman has eluded him. Veterinarian Jackie Brandon is eluding her aristocratic past and memories of a soccer star who jilted her just before their wedding. She devotes herself to a marine mammal rescue center on the northern California coast, where hundreds of seals and sea lions are washing up dead. A chance meeting in a midnight storm brings Alex and Jackie together to rescue a stranded whale. Watching her work, he realizes she's the passionate, courageous woman he thought he'd never find--he just has to overcome her deep distrust of jocks. Jackie’s passion and courage lead her to discover what's killing the sea mammals. The culprits want to silence her, and Alex is the only one standing in their way. What will he sacrifice to save the woman he loves? This story centers on Jackie “Jack” Brandon and Alex Tavanesi. Jackie is a gun-ho marine biologist vet, beyond serious in what she does. Which is a cover for her past. As for Alex, he is a San Francisco Giant’s Baseball player, who inherited the roll of owner and operator of Trovare Vineyards when his father passed two years ago. Up until then he had only been torn between his love for baseball, the marine biology (ocean), and the good life. One day he happens upon a chance meeting while taking a lunch break down by the river, Jackie trying to unstick her boat from the mud. You see she had gotten out to take water and soil samples up and down the river that that runs into the bay to the ocean for its killing the seals. That day for both of them changed their lives. You see it reminded Alex of a time before college and really even baseball when he wanted to sail the ocean. So, he use to go down to the water all the time. All he could think of was getting to the rescue center where Jackie worked to help out. Jackie due to her past was leery of Alex and she couldn’t understand her sudden interest in him and this connection that made her think of him and his strength she saw when he helped her get her boat out of the mud. 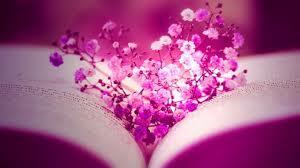 Especially when she avoided men all together but especially men like him. Strong, handsome, rich, and sports stars. They were drawn to each other like moths to a flame. The more they both tried to stop thinking of one another, being around one another, or mentioning each other they just couldn’t, which was totally unlike either of them. To the point where those close to them started to notice. Then, it started mess with both of their jobs but yet each of their jobs started to intertwine and this was uncomfortable for Jackie especially since she was investigating all the vineyards. I totally enjoyed this book there was love, conflict, intrigue, fear, suspense, and a marine education at the same time. Most of all was the fun bantering spirit of all the characters but especially Jackie and Alex. I just loved Gage and how his character never held back. The sports angle made it fun too.